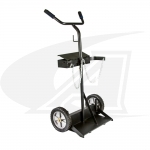 Got a new welding machine, or want to update your welding shop and pick up mobility and additional storage? 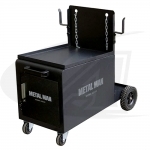 Now you can have a full feature welding cart or cabinet without spending a lot of cash or time building one! 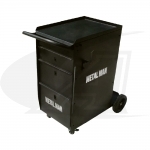 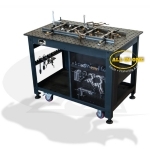 Welding carts and cabinets from Metal Man are designed with you in mind, tough, durable construction, ball bearing drawer slides, keyed door locks, robust hardware and heavy-duty casters and wheels for long trouble free performance. 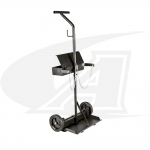 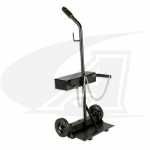 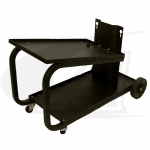 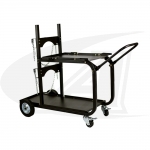 Arc-Zone also offers traditional side-by-side Oxy-Fuel welding cylinder carts, and the simple, safe and easy to use Bottle Caddy single cylinder cart. 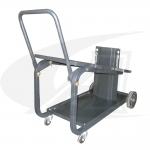 No more rolling cylinders by hand to and form the storage area or refill yard. 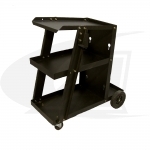 Simply slip the Bottle Caddy under the cylinder base and use the integrated ratcheting strap to hold the cylinder safely and securely for easy transport outside the shop or in the back of the truck for mobile jobs.